You need to work together to solve the mystery! As an investigator, you believe you have seen it all: grisly murders, seemingly unsolvable mysteries, and all the horrible nightmares that comes along with these things. Nothing surprises you anymore, and you would be shocked if you found something that did. But perhaps, this new job you have taken is a bit more than you can handle? 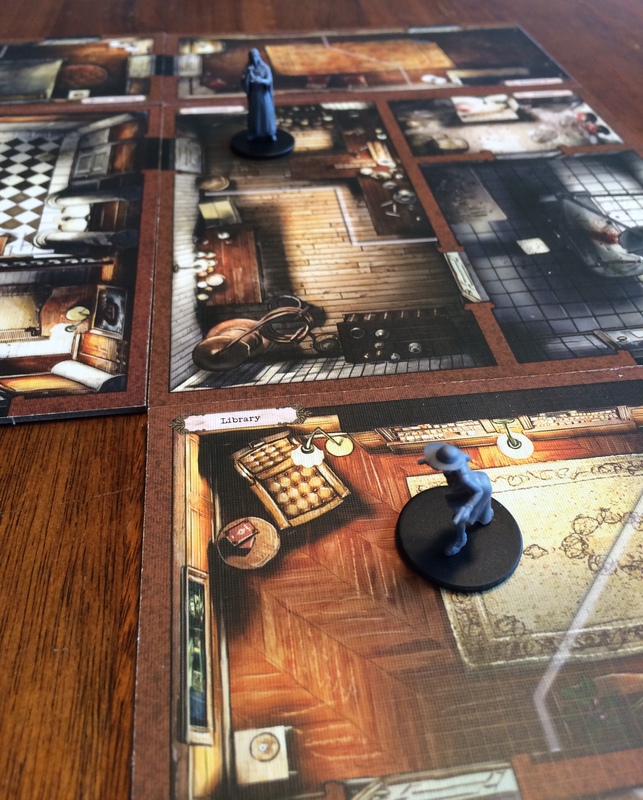 In Mansions of Madness, you play the part of the investigator, sent to explore a seemingly normal crime in a seemingly normal house. But things aren’t always as they seem. It appears that the unseen forces in the darkness are working against you. Not only are you unsure if you will solve the mystery, but will you even escape the house alive? 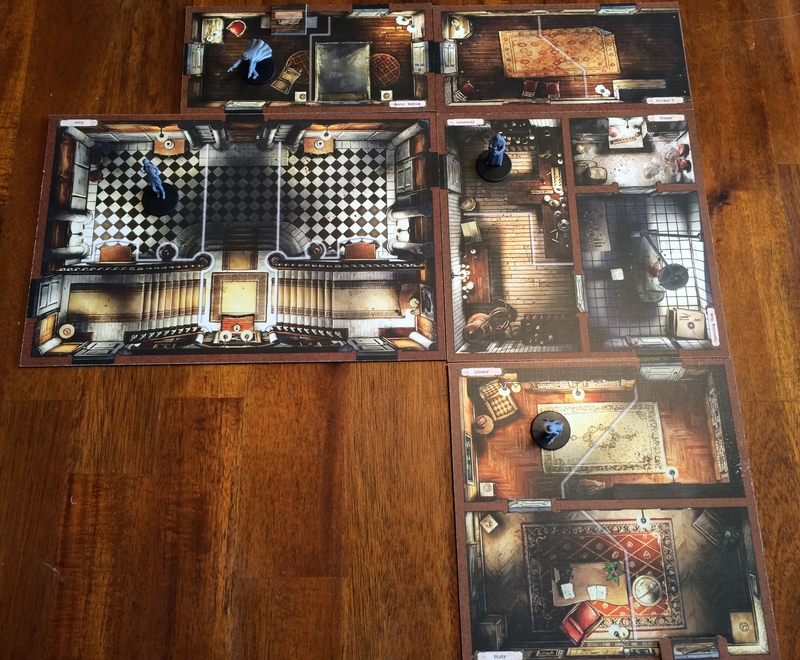 Mansions of Madness is a one vs. all type of cooperative game. One player becomes the keeper, and the remaining players are the investigators. 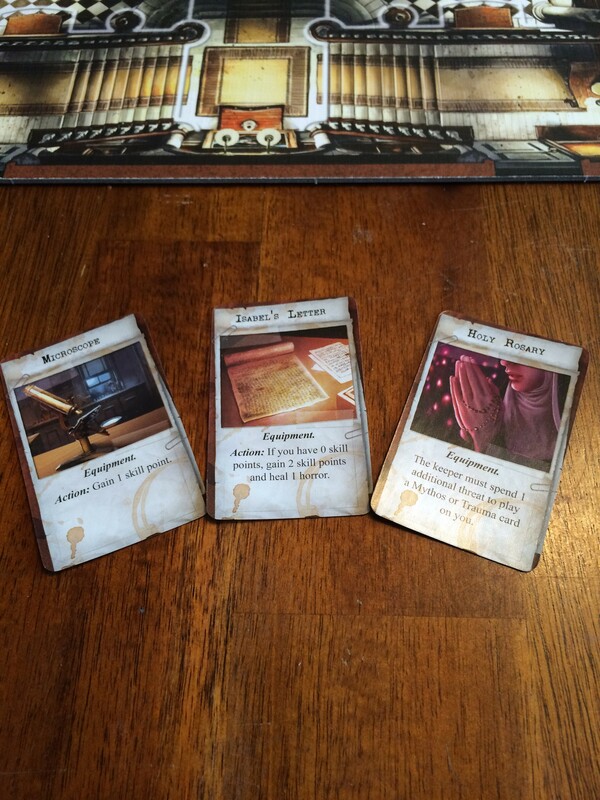 The game is played over a series rounds alternating between investigators and keeper. During each of their turns, investigators may make two movement steps and an action step. Can you escape the mansion? Movement consists of moving to an adjacent space. An Action involves one of the following: Run (move an additional space), use a card, drop an item, attack a monster, or explore (reveal obstacle and exploration cards). The Keeper’s turn begins with the investigators being able to trade (only if in the same space), then gaining threat tokens equal to the number of investigators. These tokens are used to perform actions in the next step. After actions are taken, the keeper may perform one attack with each monster in an investigators’ space. Finally the keeper places a time token on the event deck, which may result in an Event being resolved. Will these help against the monsters? To win the game as the keeper, you need to compete the objective you receive at the beginning, or eliminate all the players. Investigators must find all the clue exploration cards, and complete a final task given to them near the end of the game. Should none of these events take place, everyone loses. Perfect Palace or Horrible Hovel? 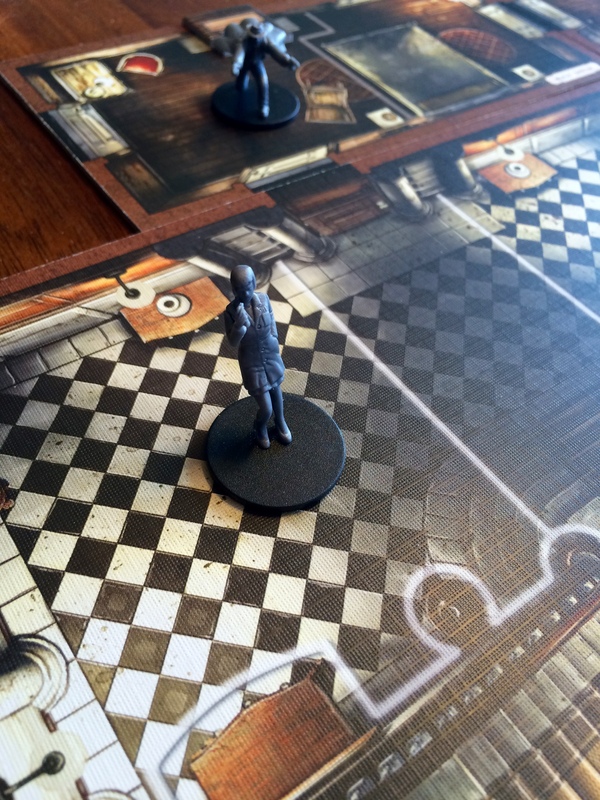 Mansions of Madness feels akin to a survival horror movie, distilled down into a board game. It is an all vs. one style of game that combines simple mechanics and a slick combat system, that is easy to learn, play, and teach to others. Although it plays as a dungeon crawler, it is so much more. 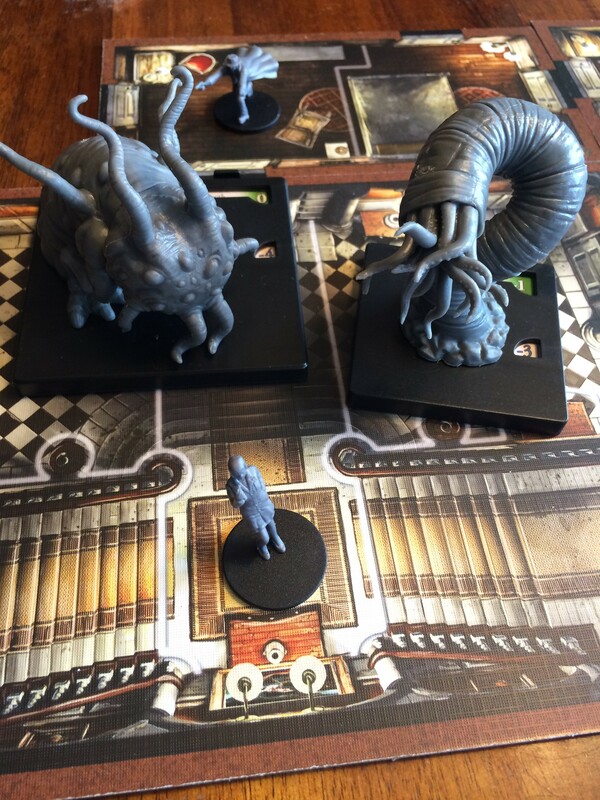 I found that Mansions of Madness is more like a role playing game rather than a standard board game. Especially at the beginning, investigators are simply moving around the house and trying to solve clues. The game is less about combat and more about the story. With this semi-RPG element, the game offers a truly unique experience for players. If you’ve ever wanted to see a nun armed with a shotgun going up against horrific monsters, then this game is perfect for you! Since the game is a one vs. all, one player must the Keeper in a dungeon master-type role. Fortunately, it’s still fun to play as the Keeper. In some games you may be tempted to take it easy on the players in this sort of role, but not here. Messing with the other players is a treat, and they don’t seem to mind it either. 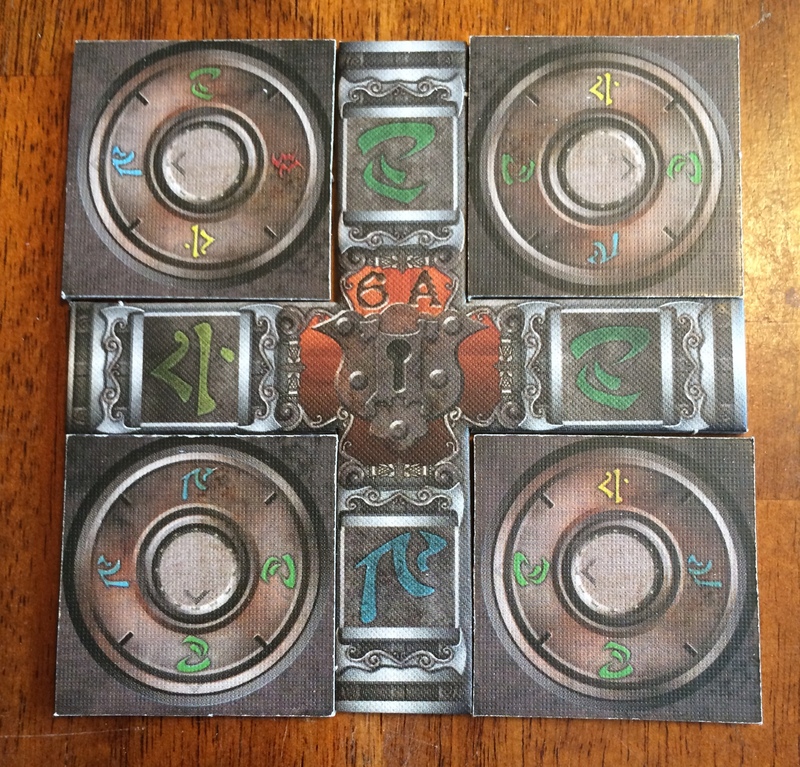 The game maintains a balance between the investigators and the keeper player which keeps everything fun, rather than one side dominating the other. It is a tactical and strategic game for both sides. You feel as though every move you make and action you complete counts and no turn is ever wasted. It is true, though, that playing as the Keeper can be stressful. So much depends on the setup (for which the keeper is responsible) so if anything is off, it could ruin a whole game. Fan out! Cover more ground! Thematically, this game delivers. All of the artwork and flavour text throughout the scenario, and even the components, impresses the idea of horror and survival on the players. Even though it isn’t technically necessary, the text almost demands to be read out loud. It really adds to the experience, and gives the players the feeling of actually being there and having these terrible situations occur to them. You’re missing out if you ignore the theme and just mindlessly call out the mechanics. It lends itself to role play, which just adds to the fun of it. 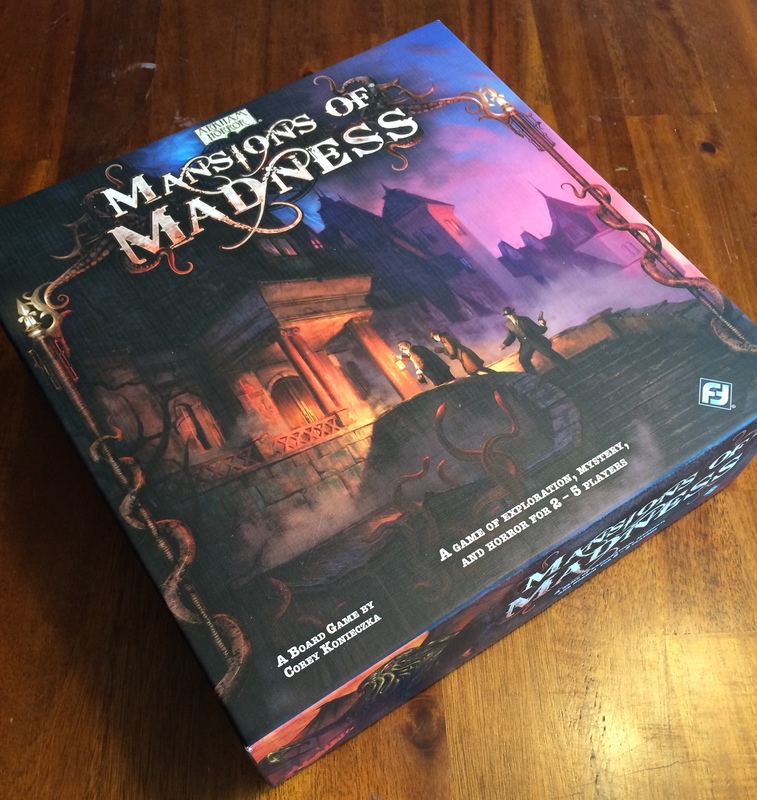 Encountering puzzles and monsters in Mansions of Madness is a core part of the game. I was concerned about puzzles slowing the pacing, and unsure before my first play if they would take too much time out of the game. My concerns were unfounded. Most everyone enjoyed the puzzles (and were even disappointed if they never got to solve one). Each puzzle took up small amounts of game time, fit the theme, and added a nice element of tension; needing to solve a puzzle while worrying that a monster may leap out at any moment can get your heart racing! Can you solve the puzzle with a monster breathing down your neck? All of the monsters you might encounter are quite dangerous. It takes multiple attacks to kill one, and they have hard-hitting special attacks that they can use against you. Even though there isn’t a lot of combat to this game, the fights you do engage in never feel dull. You are fighting for your life! Even more tension is found through the event deck system. 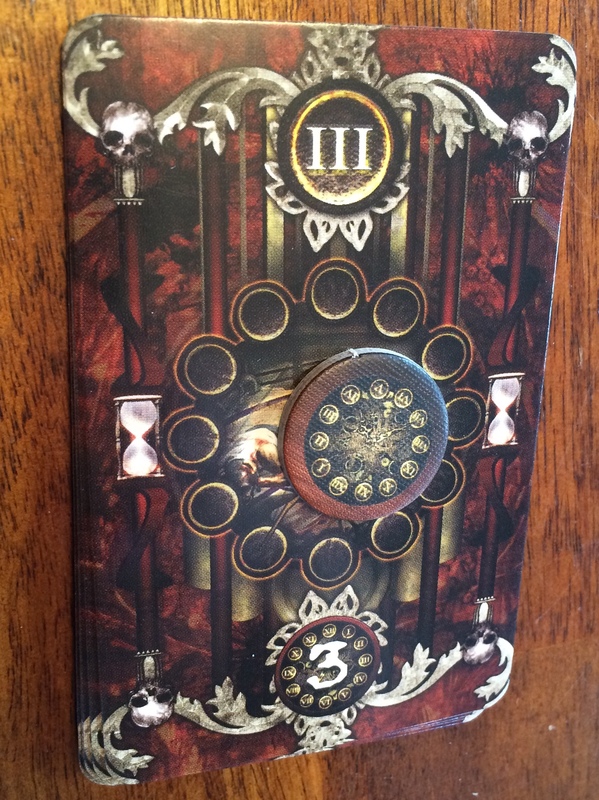 The keeper places clock tokens on this deck to mark a countdown; or a built in ticking clock that acts as a timer. Once these tokens hit a certain number, an event occurs, and it is never a good thing for the investigators. Players do know the amount of tokens required for each card, which allows for a calculated movement on their parts. They know when something terrible is going to pop out at them, and they have to make the most of their actions before it occurs. The game itself is also long. Taking into account prep time and cleanup, it can take up to 4 or 5 hours to get through a scenario. For something this size, that is quite the commitment. Another drawback is the replay value. Since it is scenario based, this offers a limited number of plays with the base game. There are plenty of expansions, but if you don’t want to invest that much money into the game, you’re stuck. To be fair, some of the components and puzzles are randomized in each scenario, you get at least three different objectives per scenario, and different keepers will play their story differently. Components are pretty standard quality for Fantasy Flight. The cards, which come in standard and mini size are finished smoothly, shuffle well and feel great in your hand. The cardboard has a linen finish which reduces glare and makes text easier to read and understand. Artwork is beautiful and thematic throughout the game and rule book, which is easy to read and full of pictures and examples. Monster and character miniatures are well sculpted, but they pop out of their bases easily and are unpainted, which is my only complaint. Mansions of Madness is just a superb game. It’s thematically interesting, with lots of survival horror vibes and the tension to match. Mechanically, it’s well designed and fun to learn and play with any number of people. Components are beautiful and fit the theme perfectly. Overall, this game is a wonderful treat that doesn’t get played as often as I would like it to (the setup time being the main factor). However, this doesn’t diminish for my love of it, and when I do play, I always have a blast. Wonderful tension, mechanics, and game play. ...plus the long game time. Miniatures pop out of their bases easily.